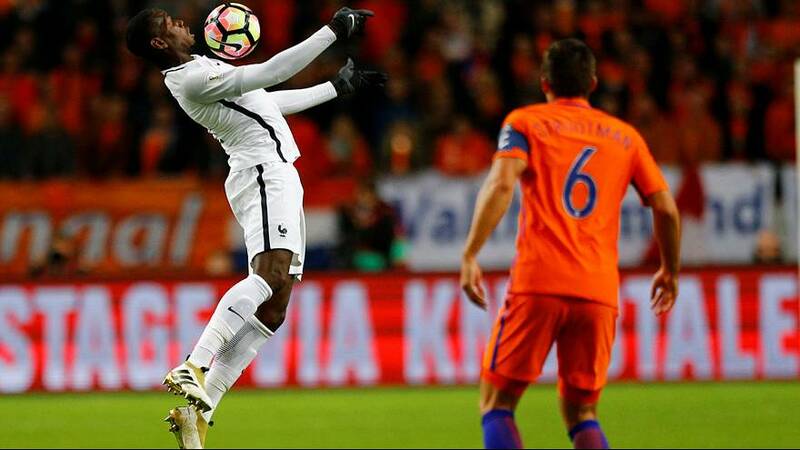 In the latest World Cup qualifiers France travelled to the Netherlands in the fixture of the night in Group A, Paul Pogba getting the visitor’s noses in front and then helping to boss the midfield to deny the Dutch. The win means France keep second place while the Dutch crash into third. Sweden top the group on goal difference after beating Bulgaria three nil. In Group B Andorra’s part-timers had to take on the Swiss and managed to restrict them to a slender two-nil win. Portugal put six past the Faroe islands to ensure they stay second. The Swiss top the group with a 100% record, and Hungary got their first win to take third spot. Gibraltar welcomed Belgium in Group H and got their expected hammering six-nil, with three goals in each half for the visitors. Along with Greece they have a 100% record, while Bosnia Herzegovina also won. Belgium’s superior goal difference keeps them top, while Bosnia’s win takes them into third place.